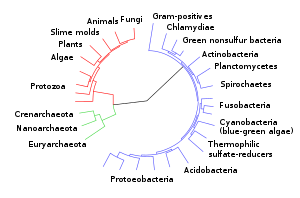 About 1.6 billion years ago our common microbial ancestors began traveling down many different roads. One of the roads led to what we are today as a species. Others led to things like rice, rhinos and reef coral, yeast, yaks and yellow eyed penguins. They led to cows, pigs, fish and chickens. Our current lives end up in diverse places for the same reasons our various biological cousins have gone in different directions through the broader corridors of time. Like the winds and raindrops wearing away the mountains, our current experience of life is carried on the backbone of many small decisions that govern the climate and weather patterns that determine our lives. Individually they can seem insignificant, but collectively they mightily shape who we are over long periods of time. These powers that influence our journey are not born solely of individual choices. We are inextricably bound to each other in a collective body of life. How we relate in the context of the larger community of life plays a role in how our individual lives are shaped. Sometimes the trigger between cause and effect is displaced geographically or by long periods of time, but nature refuses to unbalance no matter how powerfully our whims or desires beg to differ. Because we walk together, to diminish each other is to diminish ourselves. Conversely, to raise each other up is to elevate ourselves. It’s easy to lose sight of the importance of moments in the vastness of time and complexity of interrelatedness, but every step matters and each of us is a voice in a much larger choir. Ubuntu is an African word that can be translated into English as “I am because we are”. This word is fitting because it says how much we depend on each other for what each of us are as individuals. Since the community principle is what drives our experience, in order to be at the seat of the rudder that steers our lives in positive directions we must understand and express nourishment in the context of the needs of the broader community at the same time we must not lose sight of what we need as individuals. When this multidirectional nourishing flow is cultivated on a community level we can realize our fullest potential. What we do to strengthen our individual and communal awareness and what we do to actively express the community principle in a community context will determine where the currents of time will take us in the future.